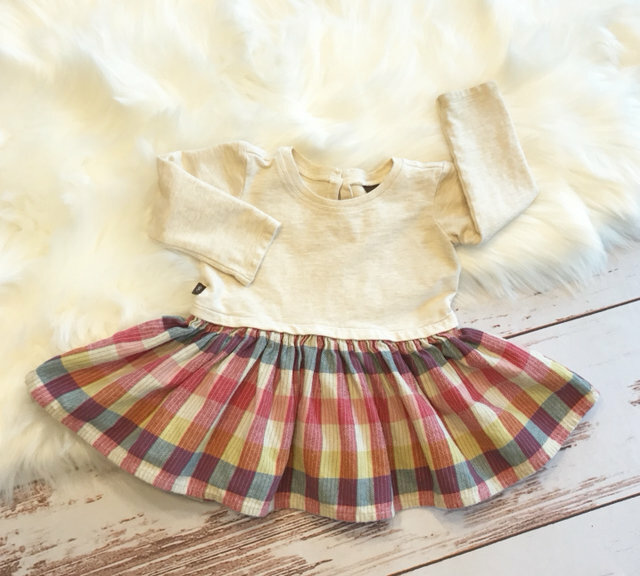 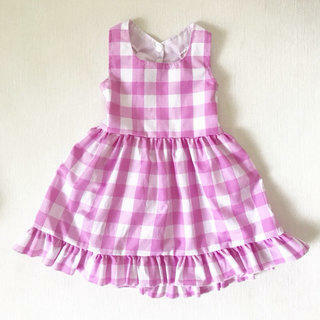 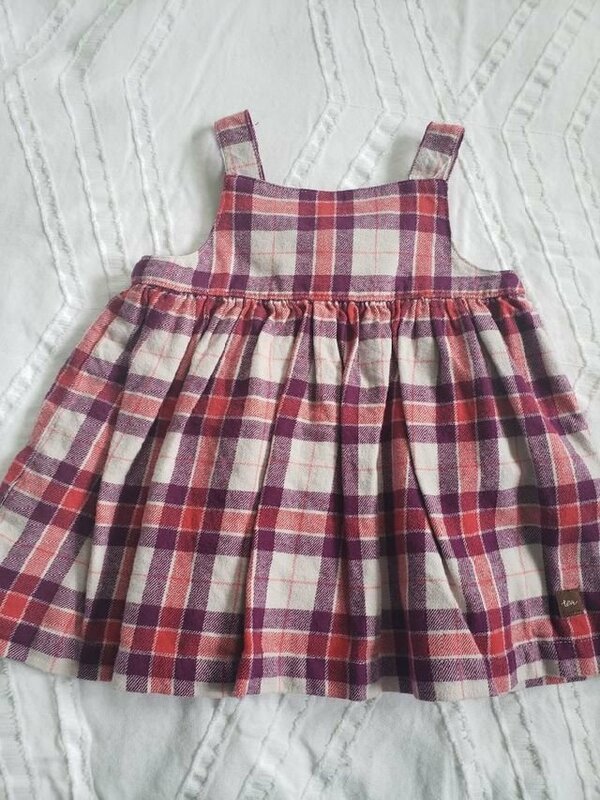 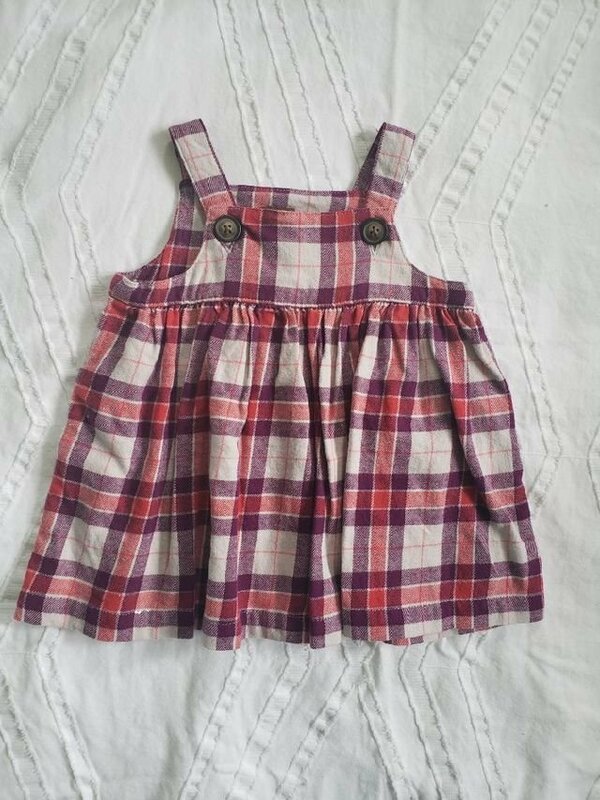 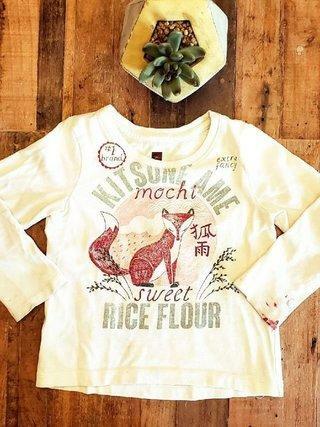 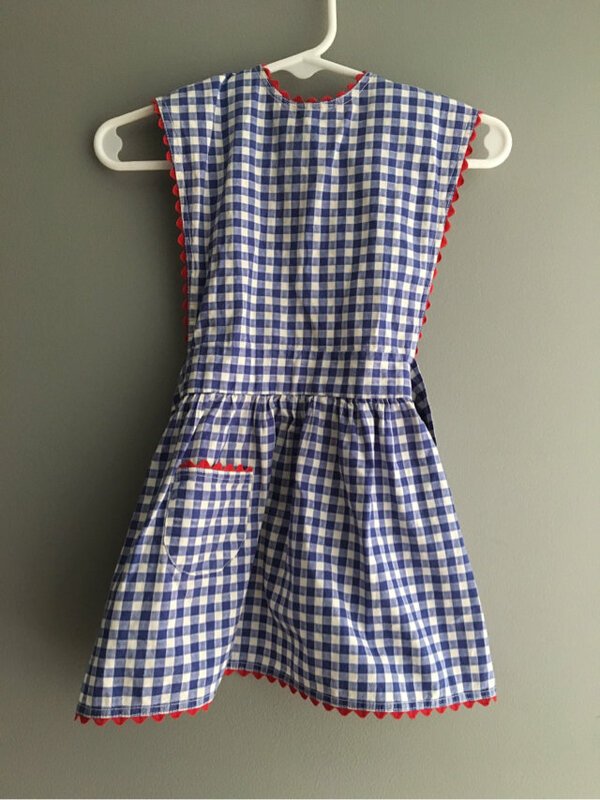 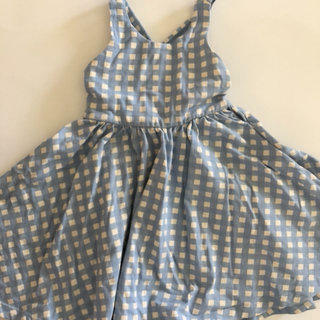 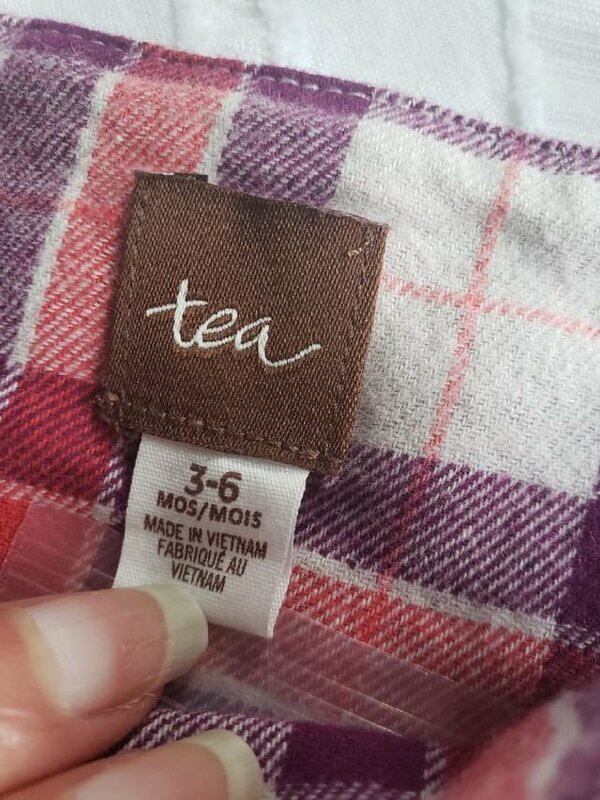 Tea Flannel Dress size 3-6 months. 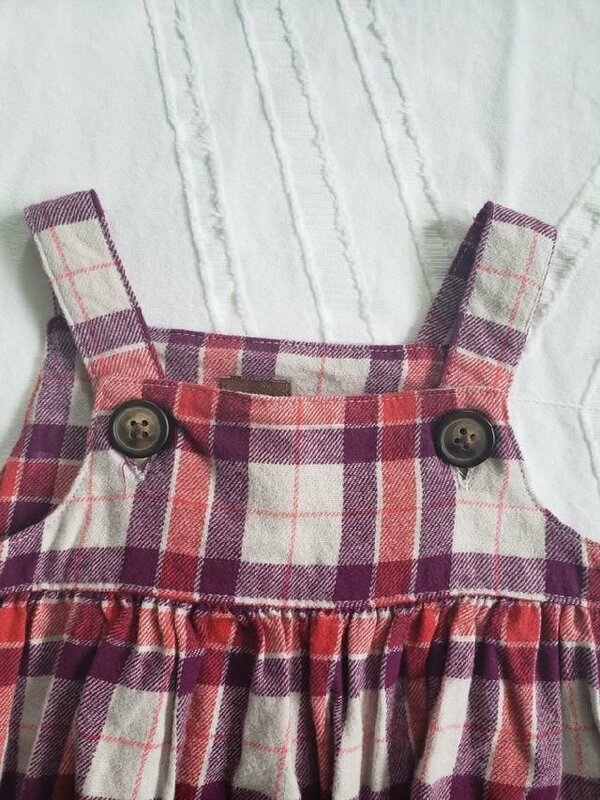 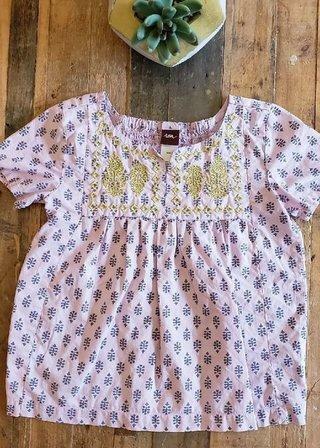 Pink/purple/white with buttons on shoulder straps. 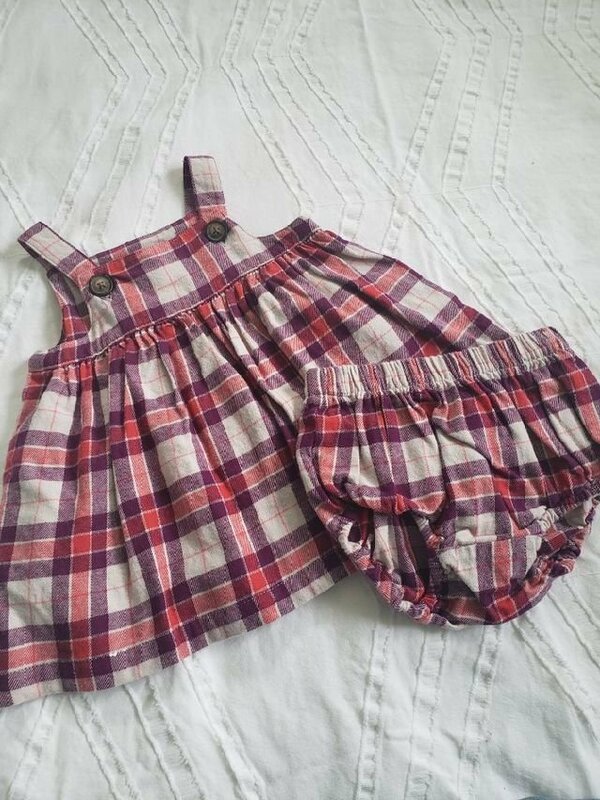 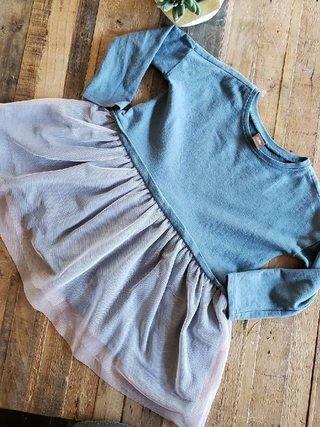 Comes matching bloomers.